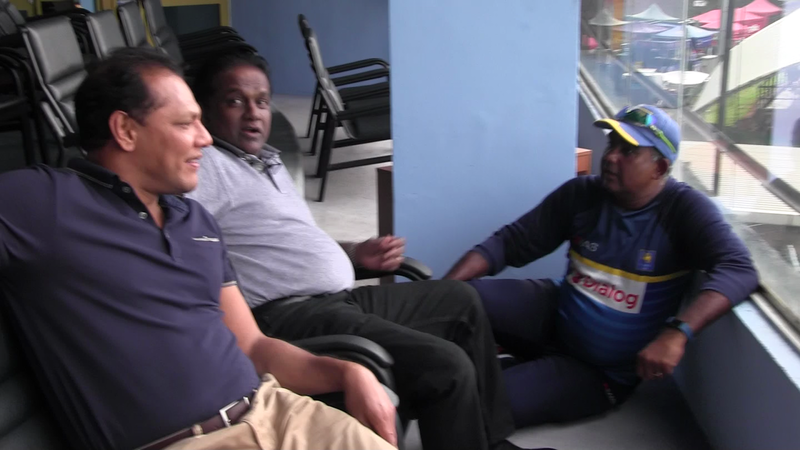 Pictures of sports minister Dayasiri Jayasekara and Sri Lanka Cricket chairman Thilanga Sumathipala seated on chairs, while cricket manager Asanka Gurusinghe seated on the floor in front of them is circulating these days. stadium to look into the preparations for the first one-day game against India. As Jayasekara and Sumathipala were seated on the chairs, Gurusinghe arrived and despite there being an empty seat available nearby, he suddenly sat on the floor in front of them. Both Jayasekara and Sumathipala told him not to do so, saying the picture would be in the media on the following day, but in the meantime, photographers went to work. A little while later, the two left, followed by Gurusinghe.